Entry into the smartphone world can hardly get any easier than what you'll experience with the Samsung Focus 2. The smartphone offers a nicely looking, no frills, pocket friendly, and well built hardware package, bundled with a software platform which is well known for its elegant simplicity. The latter will surely appeal to many people who are switching from a feature phone. LTE radio on the other hand, future proofs the device quite neatly. The 5MP snapper of the I667 turned out to be a surprisingly good performer in both still and video capture. The retail package is also great. Quite frankly, we can't recall the last time we saw a headset this good in the box of an entry-level smartphone. We surely hope it won't be a onetime occasion. As far as limitations go, the lack of expandable memory is likely the biggest disadvantage of the handset. With only 6GB of user-available space, the Focus 2 is not for people with large music collections. Cloud storage is not a complete solution to this memory shortage. After all, you will still need to download the files to your handset before opening them. The aforementioned exercise, if repeated too often out of Wi-Fi connection, is certain to have an impact on your tiered data plan too. The Samsung Focus 2 is priced at the highly affordable $49.99 with a two-year commitment to AT&T. 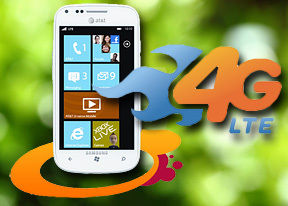 Like we mentioned already, the handset avoids clashing directly with the heavy hitters like the Nokia Lumia 900 and HTC Titan II. In case you are not familiar, the former cost twice as much, while the Titan II's asking price is $199.99. The most obvious alternative to the Focus 2 is the Nokia Lumia 710, which is offered by T-Mobile and costs as much as the Samsung. Spec for spec, the two devices are almost identical, save for their displays and radios. T-Mobile offers the best way to enjoy 3G in the States, so if LTE is not a must for you, you should take a look. HTC Radar is also a T-Mobile alternative, which packs similar spec sheet as the I667. HTC have done some clever software tricks with Windows Phone, which add a bit of Sense to it. The Radar's MSRP is $99.99 with a contract, but given that it's been around for some time, finding it for less shouldn't be an issue. AT&T's own Samsung Focus Flash is also a great non-LTE alternative to the Focus 2. The metal clad smartphone looks better than the Focus 2, offers a slightly smaller display with better pixel density, and costs only a penny with a contract. The Samsung Focus 2 will not sell by the millions. It is not designed to do so. What Samsung have done with the I667 instead, is to create a well-balanced and cleverly priced device to keep the competition on its toes. Unsurprisingly, it is a task well executed.